Yoko Sydney Victoria Ihaza is an associate in the Real Estate group. 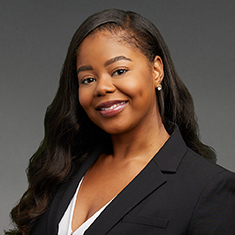 She assists corporate clients in connection with a wide range of real estate transactions. While in law school, Yoko served as the executive editor for the Loyola of Los Angeles Law Review. She worked as a volunteer clerk in the Tax Appeals Assistance Program, researching California tax law and drafting appeals for submission to the Franchise Tax Board. She also was a member of St. Thomas More Law Honor Society. Shown below is a selection of Yoko’s engagements.